Prince William is leaving his wife Kate Middleton and the couple’s three children, Prince George, Princess Charlotte, and Prince Louis behind, for his trip to New Zealand in April. It was announced this week that the future King of England will be visiting Christhurch to honor the victims of the recent mosque terrorist attack. Kensington Palace said that the Duke of Cambridge will be meeting with those individuals who were affected by the attack while also paying tribute to the local community. The palace did not state why Kate Middleton is not accompanying her husband for this trip. Back in 2014, Kate along with a one-year-old Prince George tagged along with Prince William for their official state trip to Australia and New Zealand. The royal family also traveled together for a trip to Canada, while both Prince William and Kate Middleton made another trip to India during the Spring of 2016. 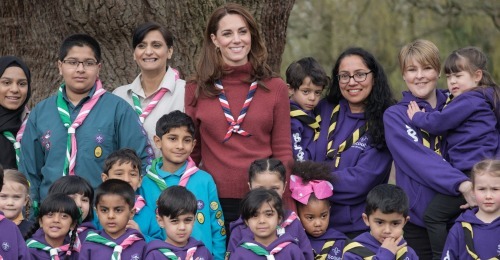 Many royal observers and critics have noted that Prince William and Kate Middleton have been making more and more appearances apart than together. As a matter of fact, the last time the Duke and Duchess of Cambridge were at a royal engagement together was on St. Patrick’s Day. Otherwise, Kate has been seen on her own. According to the Daily Beast, Kate Middleton might also be facing her first royal scandal on her own, too. That’s because there’s speculation that the feud between her and her ‘rural rival’ Rose Hanbury might be due to Prince William getting a little too up close and personal with her. A British food critic by the name of Giles Coren even suggested on Twitter that Prince William might reportedly be having an affair behind his wife’s back. Whatever the case, Prince William and Kate Middleton haven’t done much to put a united front. Critics agree that William’s solo trip to New Zealand only adds more fuel to the speculation. So far Prince William himself has not made any comments about his upcoming trip. In the meantime, don’t forget to check back with CDL for all the latest news and updates on Prince William, Kate Middleton and the rest of the royal family right here.